It's starting to cook in the triple digits in my neck of the planet, as they call this the dog days of summer. 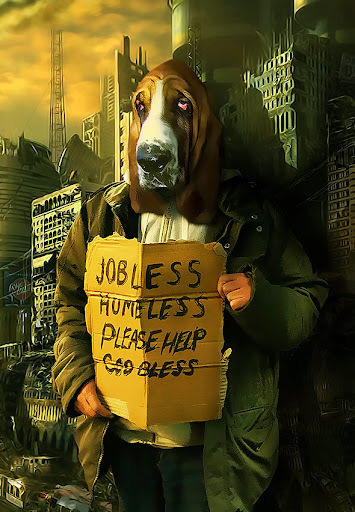 Keep in mind that there are now many more hungry dogs out of jobs. The United States is experiencing what Japan did in the 1990s, but seven times faster. According to Nishimura's schema, in less than two and a half years, the United States has experienced as much trauma and recovery as Japan did in about 12 years. All of which means that if the dog-years analogy continues, things could start looking up by early next year. But we shouldn't get too far ahead ourselves. There are other lessons to be learned from Japan's experience of starts and stops. "We should be careful not to be very optimistic," Nishimura concluded. "That's my advice to myself."